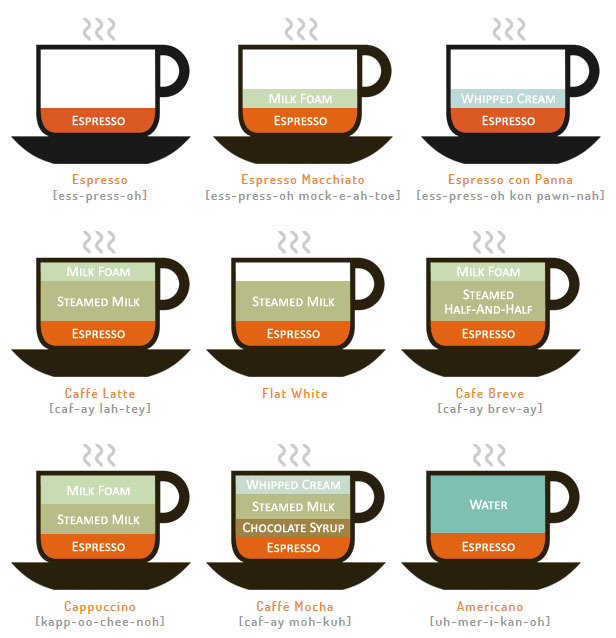 Shortly after I read o-cha♪'s entry about Cafe Latte vs Cafe Au Lait, I found this page about different types of coffee drinks on Facebook. 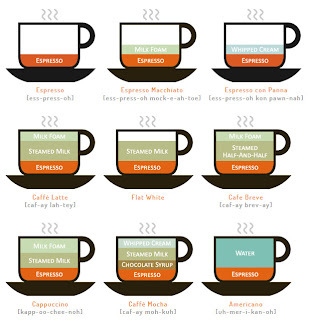 The side by side chart is pretty useful for those who tend to get lost when they open a coffee list at a non-starbucks coffee shop. One question however. If Cafe Latte is single shot expresso, top up milk and Cafe Au Lait is expresso or pressed coffee with milk, then, WHAT EXACTLY IS FLAT WHITE (which is also expresso with milk)? It is said that a Flat White and a Latte could be the same thing, but only the vessels used by these two drinks are different - a ceramic cup for a Flat White and a glass for a Latte. Mind blown, still. 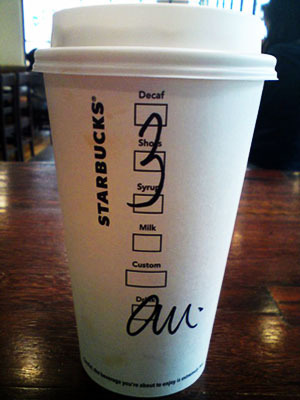 (╯°□°）╯︵ ┻━┻ Cafe Americano with milk for me. Problem solved.